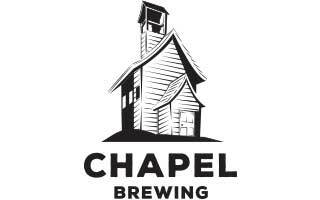 Chapel is a brewery and taproom in Dundas, MN. We offer growlers, crowlers, and pints of exceptional craft beer 7 days a week. Nestled along the bank of the Cannon River, Chapel Brewing sits on a site that has hosted a jail, a chapel, a Sunday School, the Bridgewater Township Town Hall, and a photography studio. Chapel Brewing proudly welcomes you and your family, friends, and colleagues to gather and enjoy high-quality beer (and non-alcoholic beverages) made with local ingredients. We specialize in American-style ales, drawing inspiration from all over the world to brew beer that is distinctly American. Our beer is flavorful, balanced, and bold, but always drinkable. Head Brewer, Andrew Burns, is Siebel Institute trained, and also instructed at Northern Brewer as well as managing a homebrew shop in Faribault, and is an accomplished musician.